beginning a new life together in love. To help make this special day the best it can be, I have compiled links for favors, gifts for your bridesmaids and groomsmen, and a variety of other wedding essentials. Here's to making your wedding day the best that it can be! 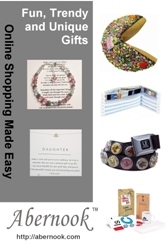 Whatever your special occasion, get this fabulous personalized gift. 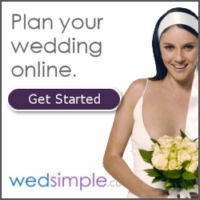 Plan Your Wedding Everything you need to plan and announce your wedding with wedsimple.com. Kinglove.com offers items to add some sensational spark to your romantic honeymoon… and ever after! Find the kit that lights your fire! $35.00 for this item + $2.00 shipping added to the item value + $3.50 shipping added in the shopping cart. These Kleenex tissue flowers are handmade, and are the extras from my daughter’s recent wedding. We thought someone else might be able to use the rest to decorate their wedding getaway car. There are a total of 124 individual white tissue flowers made of Kleenex brand Ultra Soft tissue. The making of these flowers took a lot of time. So save yourself some time that could be used on all of your other wedding plans. What do you need to do to decorate your wedding car? 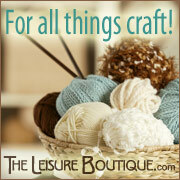 Go to your local craft store and buy about 5 spools of 1 ½” wide ribbon (We used organdy ribbon.). This was enough ribbon for the Mitsubishi Galant that we decorated. Each flower already has string to tie onto the ribbon. Tie the flowers onto the ribbon approx 5” apart, or however you want to achieve the look you want. When you get the flowers, you’ll just need to gently fluff them up, and they’ll be like new. In the photo, you’ll see we decorated the hood, top, trunk, front & back windows, side mirrors, and door handles of the car. These flowers and ribbon survived a highway drive from Orange County, CA to Phoenix, AZ! Want to see more pictures? Just ask.